You want the end results? Your only hope is in your own personal development. What will you do today to grow, to improve? So many want; so few willing to do what is necessary. Your hopes can become a reality, but they won’t magically appear. You will have to do the work. 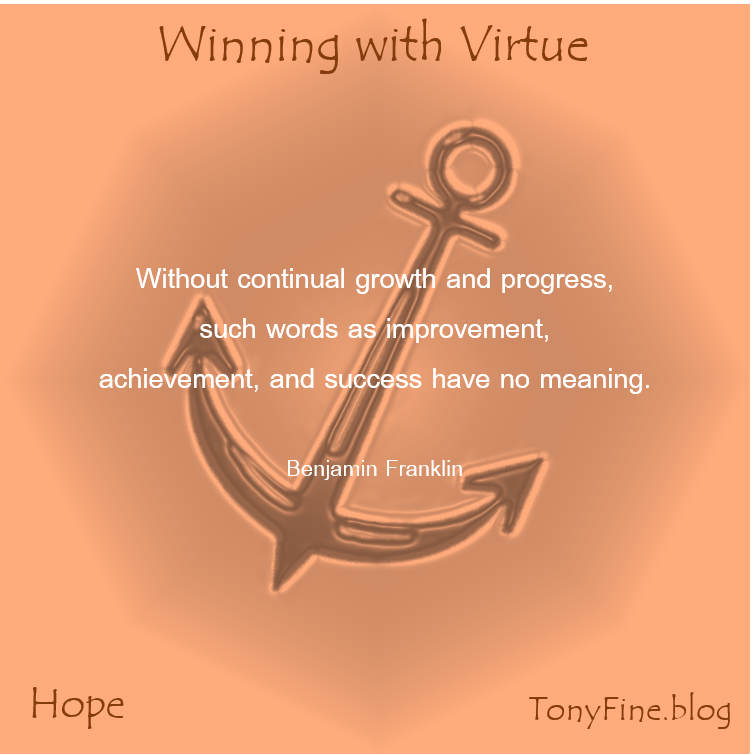 Ben Franklin at a young age would do whatever he could to improve himself. He would choose books over a nice meal. He would put himself in the company of other men, who had a similar desire to grow and improve. He is a good example for our children to follow. He is a good example for us to follow.